RYANAIR AVIATIONS MOST EXPLOITED AIRLINE WORKFORCE .We are in no way affiliated with Ryanair. 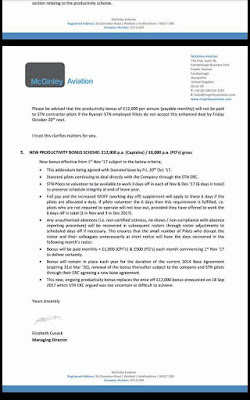 : Ryanair bogus self employed Pilots through Bogus McGinley Aviation. 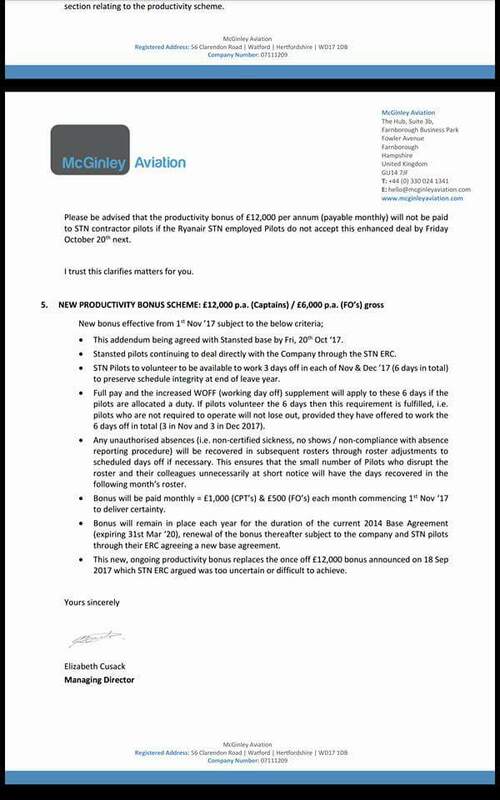 Ryanair bogus self employed Pilots through Bogus McGinley Aviation. 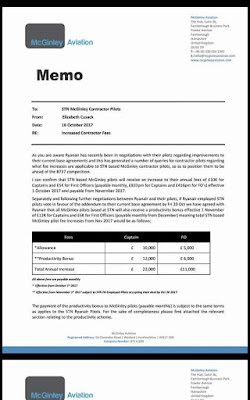 The Ryanair bogus self employed Pilots through Bogus McGinley Aviation have been given an offer also. As you can see it all depends on whether Ryanair contracted pilots agree to keep unions out of Ryanair. Plain and simple. Ryanair and their bogus Pilot agencies are terrified,by pilots not taking these financial cookies from Ryanair it will lead to even more pilots leaving and the scrapping of Collective bargaining. 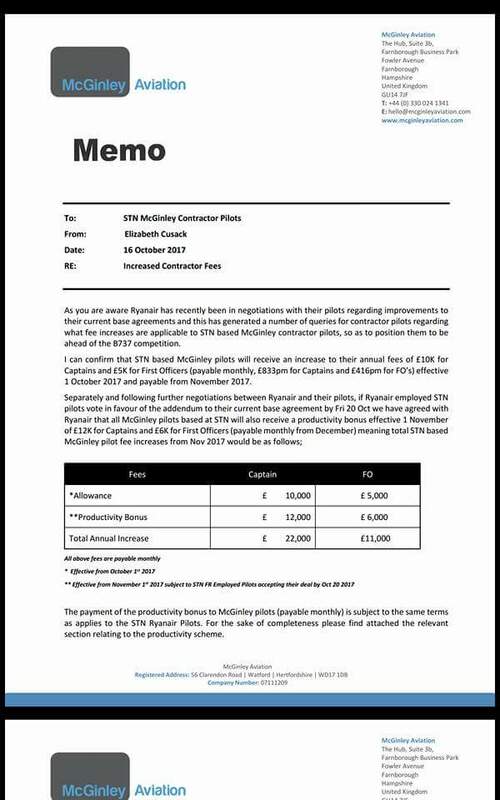 Ryanair McGinley Pilots and Crewlink/Dalmac Cabin Crew generated a per hour rate of pay scam which benefits Ryanair to the tone multi €millions each month..